This entry was posted in animals, ink, watercolor. Bookmark the permalink. What’s that nosy bird lookin’ at? Kristen, he’s all up in their business! 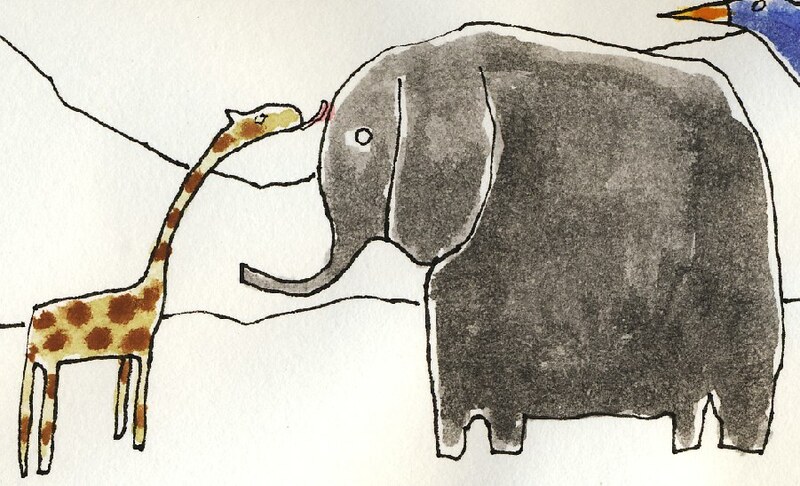 OMG I especially love that the giraffe licking the elephant. So cute!! !